At a rally in Rampur on Sunday, Khan said, "I brought her to Rampur...It took you 17 years to identify her face but I got to know in 17 days that she wears khaki under****." 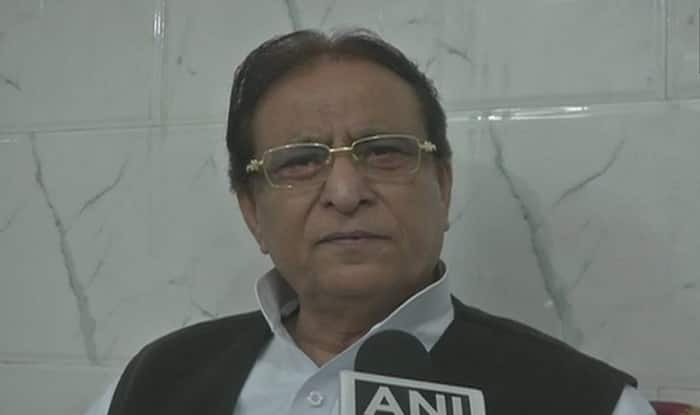 Lucknow: Senior SP leader Azam Khan is anything but repentant for his jibe at Jaya Prada that also drew the attention of National Commission for Women. In fact, Khan has claimed he didn’t mean Jaya Prada at all. He has also said that if proven guilty, he won’t contest these Lok Sabha elections, reported ANI. The attack was probably on how Jaya Prada, who was a part of SP earlier but shifted loyalties and joined BJP recently. Khan then trained his guns on media and said, “I am disappointed. Media did not like me; I also did not like them. They have caused damage to the country,” he said. NCW chairperson Rekha Sharma had tweeted that the women’s body would be requesting the Election Commission to bar Khan from contesting elections. She said this is the second time Khan has made such a remark and a notice is being sent to him. She also asked women not to vote for such a leader. Meanwhile, ANI reported that an FIR had been registered against Khan. More details are awaited on that. Actor-turned-politician Jaya Prada had won the Rampur Lok Sabha seat in 2004 and 2009 on SP ticket but was expelled in 2010 for alleged anti-party activities. The election for 80 Lok Sabha seats in Uttar Pradesh is scheduled to be conducted in all seven phases. Eight seats in the state went to polls in the first phase on April 11 and the final phase of voting will take place on May 19. The results will be announced on May 23.